KANSAS CITY, Mo. -- The FBI agent who inherited Lee Harvey Oswald's file the year before President John F. Kennedy was assassinated has died of cancer. Funeral services were held Saturday in the Kansas City suburb of Roeland Park, Kan., for James P. Hosty, who spent nearly five decades defending himself against accusations that he should have investigated Oswald more closely. Hosty died June 10 of cancer at Kansas City Hospice House in Kansas City, Mo., McGilley and Hoge Johnson County Memorial Chapel said on its website. He was 86. As recently as 2003, Hosty told The Kansas City Star there was nothing he could have done to prevent the assassination given what he knew at the time. He also conceded he probably would "go to my grave trying to straighten this out." "He was a man on a mission," his son, Tom Hosty, told The Star for a story that ran in the paper's Saturday editions. "He was determined to get the entire story out there to the American public - to set the record straight." 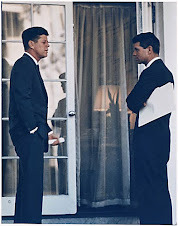 Long before Kennedy's assassination, Oswald was already well known to the FBI and the Central Intelligence Agency. A former Marine, Oswald had defected to the Soviet Union in 1959, and his defection made international front page news. 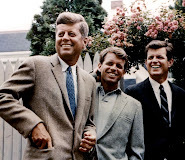 Hosty said that in September 1962, after Oswald returned to the U.S., the FBI agent who had the Oswald file determined that the agency's file on Oswald should be officially closed. When that agent retired a month later, Hosty inherited his files. But in late February and into March of 1963, Hosty came to believe that the Oswalds needed further investigation. He suspected Oswald's wife, Marina, may be a Soviet "sleeper" agent who married Lee Oswald only to enter and spy on America. He also noticed that right after Oswald disavowed the Soviet Union and the FBI closed its file on him, Oswald bought a subscription to the Daily Worker, the U.S. Communist Party newspaper. The FBI reopened the Oswald file. He said the case was never considered a priority and that the bureau believed that if the Oswalds were involved in anything, it was likely no more than low-level espionage. 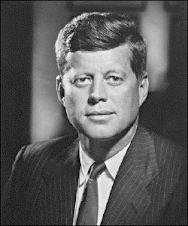 After Kennedy's assassination, Hosty was appointed to help lead the FBI's post-assassination investigation. 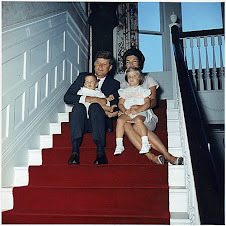 He even sat with Oswald in the offices of the Dallas Police Department on the night Kennedy was killed. But, in the end, the powers in Washington, Hosty said, thought "someone should have connected the dots." The Warren Commission Report noted Hosty by name and implied he was negligent. "He always carried it with him," his son, Tom Hosty, said. "He was ready and willing to talk to anybody about the assassination."